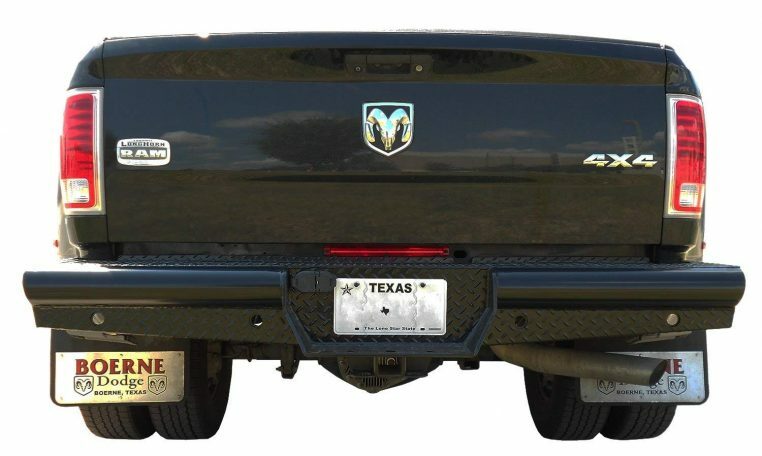 Whether you’re trundling through the backcountry or just rolling through town, Steelcraft HD rear bumper will give you that increased protection that your truck deserves. The HD Bumpers will give you that bold style and functionality you’ve been after. The Steelcraft HD rear bumper is constructed out of high quality plate steel, to ensure you have a solid backside of your ride. All Steelcraft heavy duty rear bumpers are designed to not interfere with your existing receiver hitch. Installing the Steelcraft rear bumper is a little time consuming, but Steelcraft makes it easy with no drilling and cut outs of your rear sensors. Steelcraft also has a two year warranty on the heavy duty rear bumper and the black powder-coat finish. If you are looking for a heavy-duty upgrade for your rear-end, then the Steelcraft HD rear bumper is for you.